The Commonwealth government has just announced a change in the way they fund hospitals, effectively withholding part payment where patients have avoidable complications. The initiative aims to improve the quality of hospital care and reduce overall costs, but without other measures, this probably won’t do much to stop hospital-acquired complications from occurring. Public hospitals are funded by an activity-based system in which they receive money for the services they deliver. 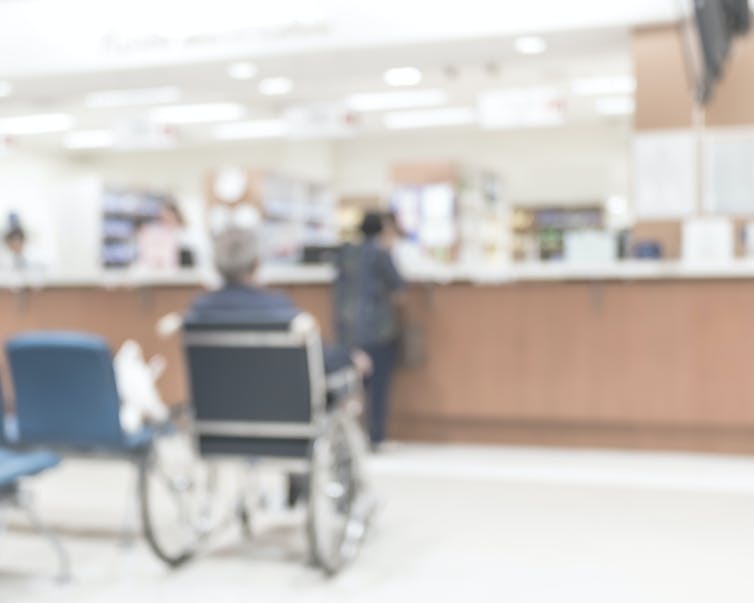 Diagnosis-related groups are used to classify hospital episodes of care into a number of codes, which are then reimbursed at amounts set by the Independent Hospital Pricing Authority. Complications that occur during hospital care, and where there is good evidence these could have been reduced through clinical risk mitigation strategies, are known as hospital-acquired complications. These include things like surgical complications, pressure injuries, falls and health care associated infections. If you experience a hospital acquired complication then the complexity of your care is likely to increase and you may stay in hospital for longer. This means the cost of care for this treatment goes up. Estimates suggest where you have a health care associated infection the cost of your care increases by 9%, renal (kidney) failure by 21% and malnutrition by 7%. From July next year, if you experience a hospital-acquired complication, the hospital will get a reduced rate of funding for that care. Of course, the chance of you developing a hospital-acquired complication will depend on a number of characteristics (such as age and the reason you’re in hospital), and not just the quality of care you receive. So the amount of money the hospital loses is determined using a risk adjustment model. Assessment against a range of characteristics determines whether an episode of patient care is low, medium or high in terms of complexity, and this score is used to determine the funding reduction. If a patient is at low risk and experiences a hospital-acquired complication, the hospital will receive funding for that person’s care reduced by the full incremental cost of the hospital-acquired complication. If a patient is at high risk then the funding for that episode of care will be reduced by a proportion of the incremental cost of the hospital-acquired complication. The new policy builds on a change to funding systems that was introduced in July, which withdrew funding for serious errors (so-called “sentinel events”). It’s estimated that for the years 2014-15 and 2015-16, there were just over 101,000 and over 104,000 cases in Australian hospitals of hospital-acquired complications, respectively. So the money spent on these cases could have been put to other uses across the health system. The Independent Hospital Pricing Authority estimates A$280 million will be saved by introducing this policy. The idea is this scheme will mean hospital managers and staff work harder to ensure they avoid these issues occurring. The scheme is not designed to eliminate hospital-acquired complications entirely – this would be very difficult to achieve in a complex system like a hospital. But the intention is the threat of losing some funding should drive processes of improvement. The resulting impact for those receiving hospital care can be significant if it means you avoid a significant or traumatic complication that compromises your health. What could be some of the negative impacts of the approach? The challenge with this type of approach is we don’t know whether pay for performance works. It’s widely debated, but on the whole hasn’t achieved the expected gains in health effectiveness and safety. I have recently taken a little hiatus from blog posting recently as a result of an accident playing soccer that resulted in a broken hand. As it turns out, if you are right handed then breaking your right hand isn’t great for getting writing done (or pretty much anything else in life). I’m pretty confident I’m on the mend now, but it has been a frustrating few weeks. Lucky then that the world of journal publications tends to move pretty slowly so although I’ve been out of writing action pieces have still been coming through into publication. A few of those pieces that have recently been published are on the topic of medical engagement. The first paper is based on research done in the English National Health Service (NHS) a few years ago, written with Chris Ham, Peter Spurgeon and Iain Snelling and can be found here. The literature suggests that medical engagement is an important component of high performing health systems, although the NHS has traditionally struggled to engage doctors and has been characterised as a professional bureaucracy. This study explored the ways in which health care organisations structure and operate medical leadership processes to assess the degree to which professional bureaucracies still exist in the English NHS. Drawing on the qualitative component of a research into medical leadership in nine case study sites, this paper reports on findings from over 150 interviews with doctors, general managers and nurses. In doing so, the authors focus specifically on the operation of medical leadership in nine different NHS hospitals. The paper finds that although concerted attention has been focussed on medical leadership and this has led to significant changes to organisational structures and the recruitment and training processes of doctors for leadership roles. There is a cadre of doctors that are substantially more engaged in the leadership of their organisations than previous research has found. Yet, this engagement has tended to only involve a small section of the overall medical workforce in practice, raising questions about the nature of medical engagement more broadly. The second paper is written with a team that I have done Australian-based work on medical engagement with – Marie Bismark, Grant Phelps and Erwin Loh. This piece doesn’t present empirical data but is a think piece arguing that perspectives on medical management and leadership are in a time of transition, but there is much we still need to understand better. This paper explores some of the tensions and dilemmas inherent in understandings of medical management and leadership and can be found here. I am lucky enough to have a couple of editorial roles with journals, one with the Journal of Health Organisation and Management (JHOM) and the other with the Australian Journal of Public Administration (AJPA). We recently got the very exciting news that JHOM has been accepted into the Social Sciences Citation Index and will get an impact factor. This is exciting news as having an impact factor is one of the ways that academics (and research excellence exercises) determine the relative merit of publications. JHOM was submitted for review about four years ago now so it has been a long journey and we are really happy with the outcome. The press release can be found below and if you are interested in submitting a piece to JHOM then I am happy for you to get in touch with me directly. As contributor to Journal of Health Organization and Management (JHOM), we are delighted to let you know that the journal has been accepted into Clarivate Analytics (formerly Thomson Reuters) Social Sciences Citation index (SSCI). This decision reflects the increasing quality and impact of the journal and the dedication of the editorial team, led by co-editors Helen Dickinson, University of New South Wales, Australia, and Suzanne Robinson, Curtin University, Australia. SSCI is a key database within Clarivate Analytics Web of Science™ Core Collection and covers content in the social sciences discipline. Inclusion in the SSCI means that the Journal will receive an impact factor, the first one will released in Summer 2017. The editors are currently welcoming submissions to the journal. Inclusion in SSCI will provide greater discoverability for authors published, so now is an ideal time to submit your work. To submit to the journal, please use the online submission system: http://mc.manuscriptcentral.com/JHOM. For queries, please contact the Editors, Helen Dickinson, h.dickinson@adfa.edu.au, Suzanne Robinson, suzanne.robinson@curtin.edu.au, or the Publisher, Wendy Alderton, walderton@emeraldgroup.com. Feel free to forward this exciting news to your peers and colleagues. Finally, I would like to take this opportunity to thank you very much for your valuable contribution to the quality of the journal and your continuous support. The future of the NDIS is seemingly secured in this federal budget. The government is set to save A$1.8 billion over five years by extending or increasing the price reduction for medicines listed on the Pharmaceutical Benefits Scheme (PBS). This will be achieved in part by encouraging doctors to prescribe generic medicines that name the active ingredient (as in “90 octane petrol”) rather than the brand name (as in “BP” or “Shell”). This has the effect of pharmaceutical companies selling the drug that is cheapest. It doesn’t work for drugs still under patent (which allows only pharmaceutical companies holding the patent to negotiate a price, compensating them for the drug development costs). But when drugs come off patent, any other pharmaceutical company can manufacture the generic drug for the best price. Some doctors worry different brands might have different effects, but there are very few examples of patients being harmed by this. Australia’s Therapeutic Drugs Administration (TGA) makes sure drugs are manufactured to tight standards. However, many patients know their medications by the brand name rather than the generic name. This same problem can happen right now (when patients are prescribed the same drug with two or more different names when they are prescribed by GPs, hospitals, or specialists). Doctors are already alert to ensuring that different drugs names do not confuse patients – the danger is that they take the same drug twice, thinking they are different drugs. The government has held the line on restraining growth in funding to residential aged care providers in this budget by implementing its pre-announced indexation freeze for the year, and a partial freeze in 2018-19. The freeze was in response to concerns some providers were wrongly over-claiming payments under the Aged Care Funding Instrument (ACFI). The instrument determines the level of funding the government pays to providers to care for their residents. The government has stopped publishing its annual target number of ACFI audits, so any proposed changes in compliance activity are now unknown. The long-awaited consolidation of the Home Care Packages (which aim to help ageing Australians remain at home for as long as they need) and entry-level support through the Commonwealth Home Support Program has been put off for another two years, until at least 2020-21. This will be disappointing to consumers as a more seamless set of support services will improve their ability to remain in the community. A welcome initiative is the additional A$8.3 million for more home-based palliative care services, although this extra support is budgeted to end in 2019-20. Overall, the biggest unanswered issue facing the government in aged care is the need to develop an evidence-based and sustainable funding regime for residential care. To date we have seen short-term budget fixes and the commissioning of opaque rushed research reports. The health minister needs to step back and establish a proper policy review process that undertakes sound research and consults widely. The review needs to establish a set of core funding principles and model options that address the varying incentives of residents, providers and taxpayers. It needs to adopt the one that transparently empowers consumers, provides market competition and results in long-term sustainability and certainty. The budget has increased the Medicare levy (from 2.0% to 2.5%). It also has removed of the 2% budget repair levy, which benefits individuals with taxable incomes above A$180,000. In 2014-15, only 3% of taxpayers had taxable incomes above $180,000. By contrast, the Medicare levy increase affects almost all taxpayers. This is a tax increase designed to generate revenue to fund the NDIS. The Medicare levy is essentially a flat tax, except for those at the lowest end of the distribution of taxable income. Revenue could have been raised more equitably by increasing marginal income tax rates for higher earners (including making the budget repair levy permanent) or lowering upper tax thresholds. The 30% subsidy for private health insurance was introduced in 1999, and cost the budget A$2.1 billion in 2000-01. This cost has grown steadily and was estimated in the 2016-17 budget to be about A$7 billion for 2017-18. Despite high population coverage, consumers question whether private health insurance provides value for money. There is abundant evidence the subsidy is an ineffective and costly policy, but it seems the politics keep reform of the subsidy in the too-hard basket. From the budget speech and budget papers, it is not clear that there is any reform of the pricing of prostheses for private hospital patients. The Prostheses Listing Authority, the government regulator, sets minimum benefits for prostheses for private hospital inpatients. The levels set are far higher than both prices in comparable overseas countries and those paid by public sector hospitals in Australia. Private hospitals are major beneficiaries when the regulated minimum benefits exceed the negotiated prices paid to suppliers. Private health insurance premium increases are being driven by hospital benefits, of which 14.4% are for prostheses. In 2015, insurers paid out almost A$2 billion in hospital benefits for prostheses. The previous health minister, Sussan Ley, raised prostheses reform as a priority, noting that insurers pay $26,000 more for a specific pacemaker for a private patient than a public patient ($43,000 compared with $17,000). It appears from early documentation that this problem has not been prioritised in this budget. A few weeks ago I was one of a number of people invited to attend the Labor National Health Summit. This event was held to help shape Labor’s health policy agenda heading into the next Federal election. With colleagues from the Centre of Research Excellence in Health and Disability, I wrote some reflections on the event and what the discussions mean particularly for people with Disability for the good people over at Croakey. You can find out our take on this here. This weekend marked my second Australian general election and turned out to be a pretty eventful one. Here’s what I had to say about the implications of the results for health policy, which was published on the University of Melbourne’s Pursuit site. In the run up to the election, health policy was a key point of debate. A number of commentators have already suggested that Labor’s accusations that Coalition plans to privatise Medicare may have been instrumental in significant gains for Labor, particularly in Tasmania. Meanwhile, the Prime Minister has announced that the Federal Police will investigate text messages sent by Queensland Labor urging voters not to back the Prime Minister and his government in order to “save Medicare”. Regardless, of what plays out as a government is formed, what is clear is that health will remain a hotly contested issue. With the political move to the centre in recent years it has been difficult to distinguish between traditional party positions. To some degree Labor have attempted to return to days gone by in presenting themselves as the saviours of Medicare. Yet the outcome of this process is likely that there will be little hope for significant reform of the health system. This outcome will not leave any government with a clear mandate or render them willing to take on a substantial health reform process. Indeed, parties may feel that the greatest reward comes not through a positive vision for the future, but through scare campaigns and negativity. None of which offers much hope for substantive change. In the run up to the election there was not much to divide the various promises of the parties on the health front. Both argued that they were committed to maintaining universal health services. Labor planning to do this through a cash injection into the system and by making savings on private health insurance. The Coalition committed to more limited investments, but with a desire to use existing resources more effectively (including those in the private health system). But what was missing in these election commitments was a clear sense of how the health system would be reformed in a significant way to ensure that we see the level of change that is needed to ensure that this performs as well in the future as it does now. This election has demonstrated that people care deeply about their health system, but this will not result in politicians feeling courageous about taking on reform in a significant way. The fractured parliament that we will inevitably be left with will also make it more difficult than ever to pass legislation. No doubt we will see money freed up for various different agendas – and likely many of these will focus on interests of independents holding the balance of power. But none of this bodes well for those of us who wish to see Australia embark on a careful and considered reform of its health system. As Primary Health Networks approach their first anniversary a number of people have asked what kind of progress they have made to date and what’s to come over the next 12 months or so as they roll out their first commissioning strategies. The Health Services Research Association of Australia and New Zealand recently hosted a webinar ably chaired by Associate Professor Suzanne Robinson (Curtin University, WA) and comprising a panel of me, Learne Durrington (Chief Executive, WA Primary Health Alliance) and Jason Trethowan (Chief Executive Officer, Western Victoria Primary Health Network Ltd.) to review the progress of PHNs to date. The background to the webinar can be found below and if you want to view the discussion then you can find this here (due to some odd technical issue I am missing for the first 10 minutes or so!). Health systems are challenged by pressures of increased demand and rising costs. The rise in complex chronic conditions means that the current system design that stems from an era when communicable disease was more prevalent than chronic is struggling to meet the changing health needs of the population. As governments look to ways to reform health systems we have seen an interest in the role of commissioning as a mechanism through which to reform many different aspects of public services. Primary Health Networks (PHNs) have been charged with commissioning primary care services in Australia. The essence of commissioning is to take a stewardship role with a focus on providing vision and direction for the health system, collecting and using intelligence, and exerting influence – through regulation and other means. As PHNs reach their first birthday it’s timely to take stock of how commissioning is developing both nationally and internationally. The webinar incorporated research, policy and practice perspectives on the development and implementation of commissioning in Australia. How are PHN commissioners working with wider stakeholder groups? Over the last few weeks I’ve been involved in a bunch of different events and workshops on the theme of medical engagement. Last week we had our second Australian Health Network event which had a focus on this theme. I have also been involved in running events in Melbourne and Sydney focusing on how to measure medical engagement with my colleague Paul Long who heads the Centre for Health Leadership (which is so new it doesn’t quite yet have a website!). So it was pretty timely for me to see a new special issue focusing on the issue of medical leadership. Edited by Graham Dickson and Karen Owen this is a collection based on papers presented at the World Federation of Medical Managers Conference from May 2015. There are range of different papers in this special issue covering national and international trends on medical leadership and how this can be developed and supported. Erwin Loh attended this conference and presented a paper on behalf of a team that I was involved in and which investigated medical leadership in an Australian context last year – if you missed this see previous blog posts on this topic. Our paper explores the idea of the ‘dark side‘ of medical engagement, where those moving into these types of roles are seen as having gone over to the ‘enemy’. We talk about the various ways in which this theme manifests, the implications of this and what we might do about this. The special issue is worth a look for anyone seeking to keep up to date with the medical leadership literature. r or co-author on a number of books all broadly related to collaborative working. These were published by Policy Press and aimed to be short, academically robust, but accessible books for health and social care professionals and students with an interest in partnership working. Not only was there a learning curve because these were the first books I had ever written, but it also turns out that writing five books at the same time with different co-authors within the space of about 8 months and doing a full time job and a PhD is pretty tricky. Who would have thought? Had you told me then that 7 years on I’d go through the same process I would have been pretty surprised (although at least now I have finished my Phd so have less of a workload!). And yet that is precisely what has happened and mostly because of the reaction of health and social care professionals to the collection. Writing academic books is often a fairly solitary experience and publishing doesn’t always feel like the ‘big bang’ change that some people often assume that it will be. I don’t think it is unfair to say that often books can largely go unnoticed by all but a small and specialist community (well until a family member stumbles across you on Amazon and gets a surprise). What was interesting about this series is that when meeting health and social care professionals in various parts of the UK people would know the books and often had one or more of the set and actually used it in the course of their work. When going to people’s offices it wasn’t unusual for someone to fish a dog-eared copy out of a desk draw as they spoke about how they had drawn on the various frameworks and tools within. The books seemed to be genuinely useful to people grappling with the complexities of making collaboration work on a day-to-day basis. I don’t think this could be a greater compliment given what we set out to achieve. The series sold fairly well and Policy Press had positive feedback and commissioned us to revise the first book in the series in 2014. We did this and again it was met with a strong response and a request for the others to revisited and updated. So in early 2015 I found myself agreeing to revise the remaining four books in the series and deliver them in a space of about 7 months. On coming back to the books we realised how much the evidence base and the policy context had moved on – even though many of the same questions remain unanswered fully. There were also a number of things we were keen to improve on and change – such as a desire to inject a more international flavour into the books. Given issues over availability of some co-authors and work I’ve done with others of late there have also been some author line-up changes in some places. The revision of the books actually became less of an update and more of a re-write and most are substantially different as a result. This made the whole process even more of a challenge again but I think we are pretty happy with the end result and hope that this continues to make the books as relevant today as they proved to be when the first editions were published. The revised series is available now as a set of books or as individual publications. The series starts with an introductory book written with Jon Glasby called Partnership Working in Health and Social Care, which provides an introduction to the topic area, an overview of the (mostly) UK policy context and evidence about what makes collaboration work. Having set out the background the remainder of the books in the series focus on different themes in relation to health and social care collaboration. With Gemma Carey the focus is on Managing and Leading in Inter-agency Settings, providing an overview of the literature around some of the most talked about critical factors in making collaboration work. Working in Teams is theme for the book with Robin Miller and Kim Jelphs. Or I should more accurately say Dr. Robin Miller as he recently successfully defended his PhD thesis. Dr. Miller recently wrote this blog post on the content of the book. With Janine O’Flynn the focus is on Evaluating Outcomes in Health and Social Care, focusing on the evidence for collaboration and detail about how to go about assessing the impact and benefit of joint working. Last but not least is Interprofessional Education and Training with John Carpenter, providing a summary of the key components of the IPE literature and how this supports joint working. If you have seen me present on commissioning in the last few months then chances are you will have heard me talk about some of the current debates about this remind me of Hans Christian Andersen’s story the Emperor’s new clothes. Now this might not seem like the most robust academic analogy but I think it is a helpful one because it is probably something that most people are familiar with or can get to grips with pretty quickly. It’s a familiar tale and allows us to populate it with the various characters and use it to make sense of difficult and complex situations. This tale in particular is often still invoked as an idiom or a cautionary story. Before I start to relate this to the concept of commissioning I will do a brief re-cap of the story as I realise not everyone had the pleasure of reading these tales as a child (or continue do so as an adult like I do). For those of you who want to skip my patchy description there are some cracking clips on YouTube that do far more justice than I will – like this. The plot in this story revolves around a vain Emperor who loves wearing the best clothes. Two weavers come to town and promise him the finest suit of clothes from a fabric invisible to anyone who is unfit for his position, or who is, in the words of the time pre-political correctness, ‘hopelessly stupid’. The Emperor’s ministers can’t see the clothes but pretend to as they don’t want to fear being unfit for their roles and the Emperor does the same. The story culminates in the Emperor marching through the town in his new suit and the townsfolk playing along with the pretence, not wanting to appear unfit or stupid. A child in the crowd who is too young to understand the need to keep up the pretence shouts out ‘he’s naked’ and the other townsfolk join in at this point having been freed from this social bond. The story finishes with the Emperor suspecting that he is naked but not wanting to admit it still. The beauty of this short children’s tale is the wide array of different allegories that it contains. I don’t invoke this tale as a perceived attack on the pride or vanity of policy makers (heaven forbid) or event to suggest that they surround themselves with individuals of an obsequious nature. It is not, either, an argument for children to run public services as the only group able to spot untruths or nonsense. One need only watch a small amount of the Wiggles to know this not to be the case. Neither is this to suggest that the commissioning agenda – like the Emperor’s new clothes – is little more than a collective belief in nothing. Why I use this metaphor is to guard against the unquestioning acceptance of ideas or the uncritical appraisal of solutions. In a context where many are desperately seeking for solutions that will help to transform public service systems, the temptation can be to jump to embrace the next idea that promises to help us overcome the myriad of challenges that we face. As this story tells us, what sounds like a perfect answer rarely is in practice if we simply accept it in an uncritical way. Commissioning as a term developed initially in the UK as a response to attempt to create more effective stewardship of what had increasingly become very complex service delivery environments and where government agencies lacked traditional means of control over the various organisations within this context. Commissioning in a dictionary definition sense covers a range of different stewardship functions including those relating to funding, ownership, purchasing, provision and regulation. The breadth of this definition is important because commissioning is more than simply outsourcing more functions or a way of externalizing aspects of provision. It is about systematically steering complex public service systems (and I’ve written more about the background to commissioning in previous posts). The key point is that commissioning is a complex set of functions than involve technical and value-based decisions, such as concerns over ethics, equity and values. The magnitude of the challenge of commissioning is illustrated in relation to the range of drivers that underpin this agenda. Commissioning is about efficiencies – both technical (in terms of provider performance) and allocative (across the whole budget), but is also about response to consumers, making priority decisions more explicit, challenging a range of traditional approaches to resource allocation and the dominance of some sectional interests and a counterweight to professional dominance in processes of service specification. Yet, when we turn to the evidence concerning commissioning and impact, overall we find that there is a lack of evidence to demonstrate that across-the-board commissioning approaches positively impact efficiency, quality of services or outcomes of services. Although there is some evidence of impact in terms of efficiency, services responsiveness and quality, on the whole these tend to be rather isolated incidences. In some cases the introduction of commissioning approaches has led to other inefficiencies in terms of managerialism, datamania and other disruptions. It is important to note that commissioning is difficult to measure and to talk about with any certainty. One experience familiar to those who have attempted to explore the outcomes of commissioning is that where a positive impact is identified there can be protracted debate between commissioners and providers about who it was that had the greatest impact on these outcomes! Despite the lack of evidence, the call for commissioning continues. We have seen this recently in Australia in terms of the central role that this plays in Primary Health Networks and the creation of Commissioning and Contestability units in some State Government departments. It looks like this agenda still has some way to run. Yet, the gap between evidence and action has led some to question whether this latest wave of reform will deliver real change or just involve lots of talk about something new and different but nothing new in reality? Juliet Woodin and Judith Smith make an important observation relating to the notion of expectations. They point out that commissioning was introduced in the UK against a background of high expectations (as we have seen in the range of drivers that it is supposed to achieve) and at a time of significant social and economic challenge – not to mention the fact that the commissioning architecture has undergone significant and sustained reform over the years. Furthermore, there have not been significant investments in evaluating the impact of commissioning approaches. This means we cannot say for certainty whether or not commissioning has significant impacts particularly over the long term. Why these are observations are helpful is they remind us that the function of commissioning is a complex one being realised against a backdrop of significant turbulence and disruption. We therefore need to realistic about what we might expect to see in terms of impact and over what kind of timescales. It is unrealistic to expect that commissioning can deliver against all the outcomes that have been promised of it overnight and it will need the courage to stick with an agenda but also the astuteness to identify when things are going awry if it is to be successful. At the moment I seem to spend a lot of time talking with public servants up and down the country about commissioning and it is safe to say that many are sceptical about this agenda and whether it is underpinned by any significant substance. It is true that we could look at this agenda in a rather sceptical way and it see it as just the next big political whim with unclear parameters and a shaky evidence base. Indeed if we do see it like this then there is a strong chance that the Emperor will stay unclothed. But, to stretch the analogy to breaking point, I think there is more we could with this concept to ensure that the Emperor is dressed. In my next blog post I’ll set out what some of these steps are.